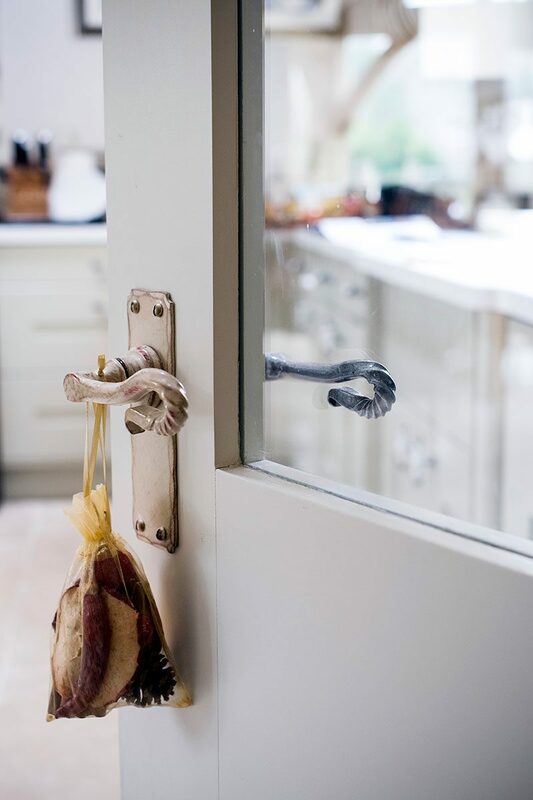 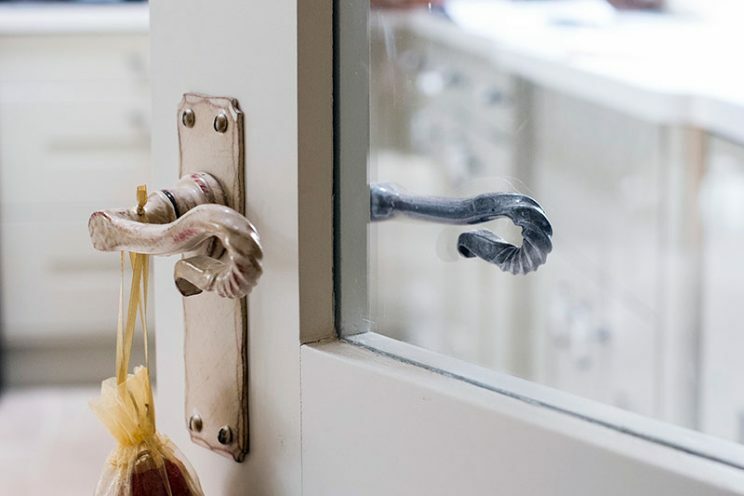 We always incorporate thermal efficiency into our joinery without compromising the traditional aesthetic. 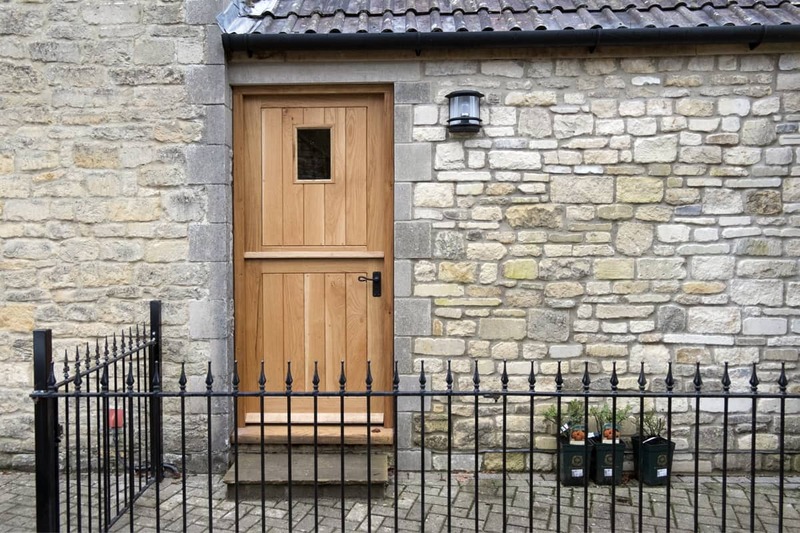 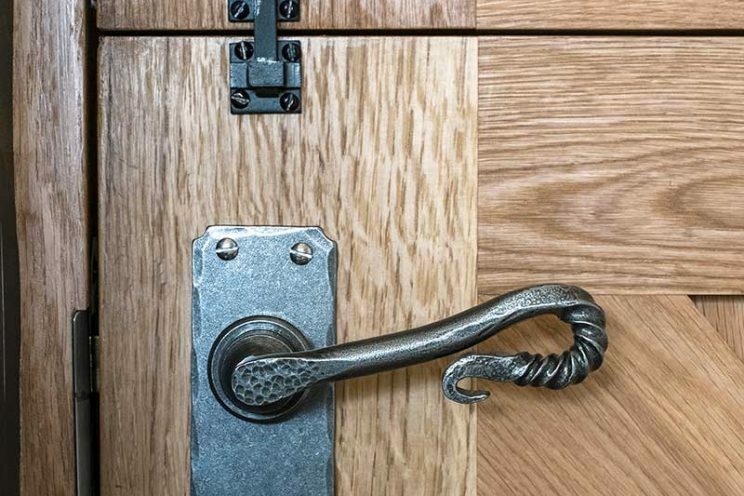 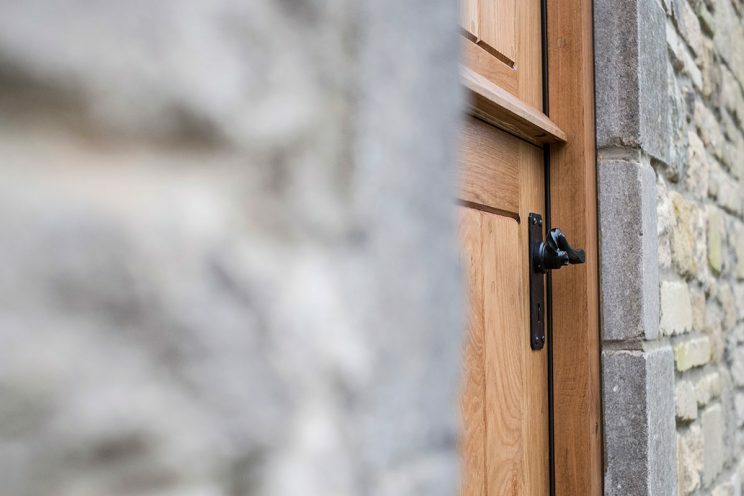 Working alongside skilled builder Shaun Goverd, we manufactured bespoke oak and hardwood joinery including framework and one very substantial oak stable door and frame in FSC European oak. 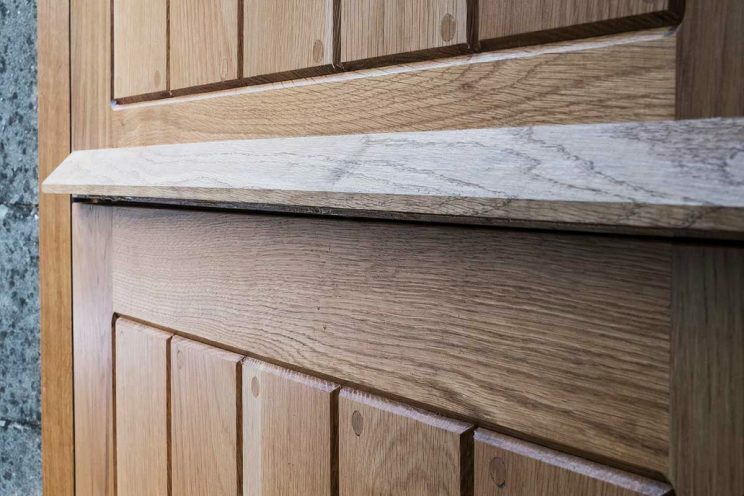 We always incorporate thermal efficiency into our joinery without compromising the traditional aesthetic. This door set was double draught-proofed. 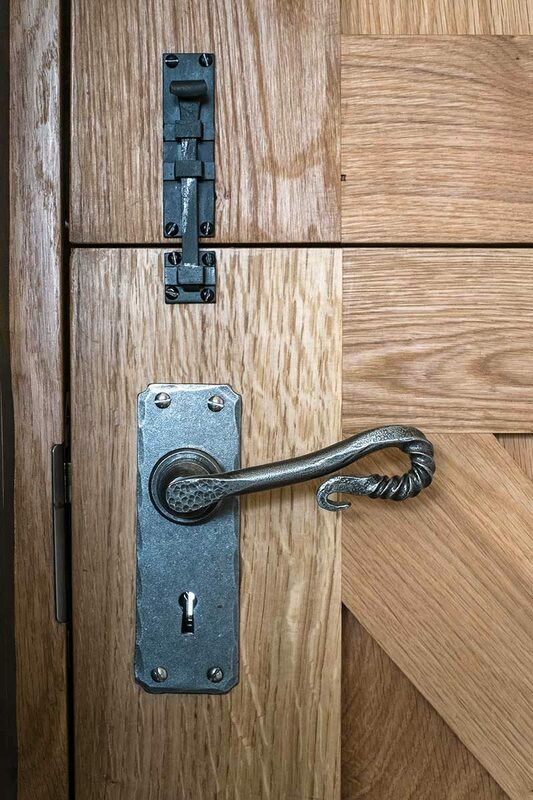 Finished in oil and fitted with the highest quality ironmongery. 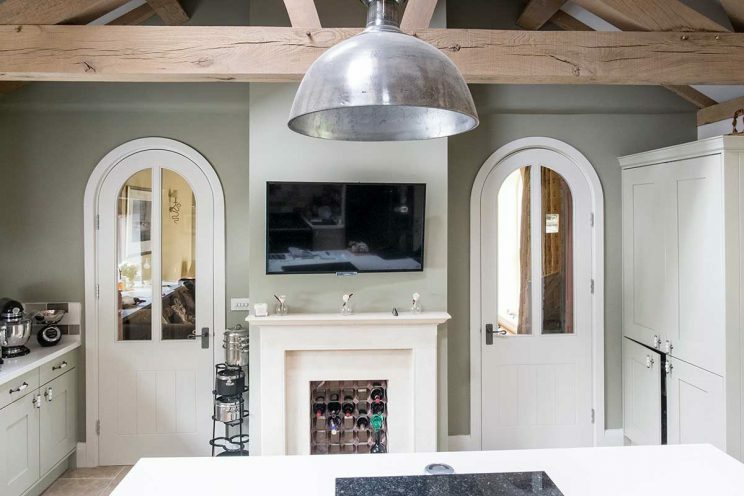 Another part of the project at this lovely home was to fabricate and install doors and frames for existing arched openings. 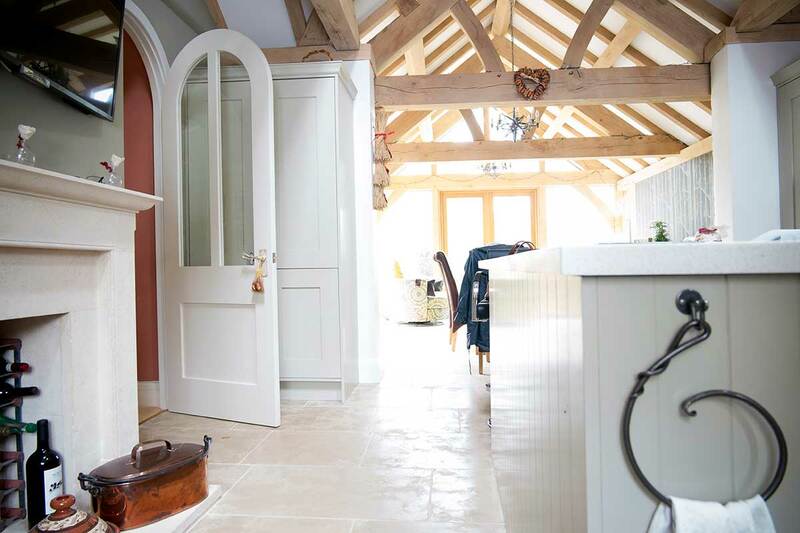 One of the trickier joinery projects as old arch openings are seldom true due to the natural movement of buildings. 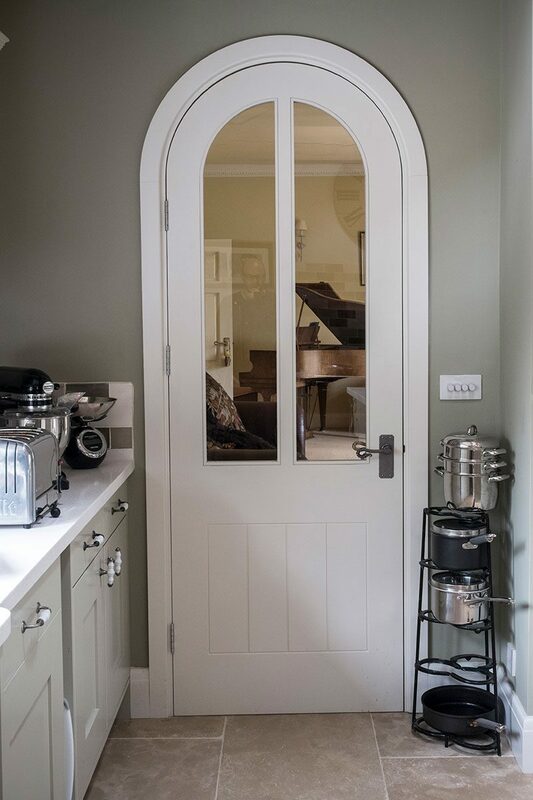 We oversized the frame to allow us to plane in on-site and made some difficult architrave with double rebates to accommodate the leaning walls. 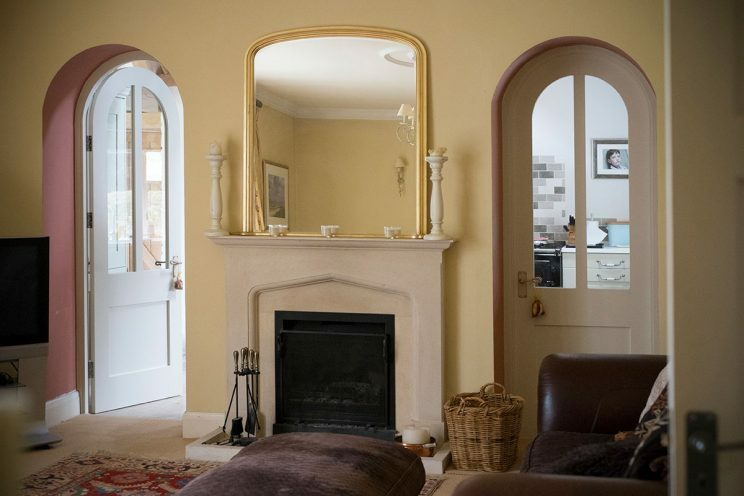 The result was very pleasing. 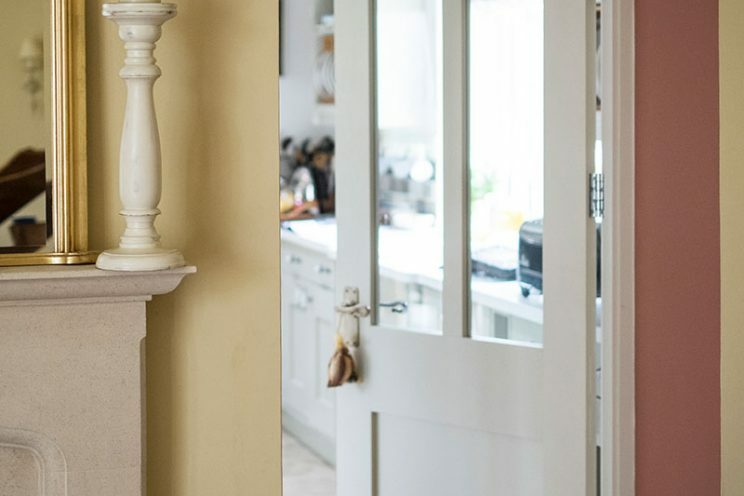 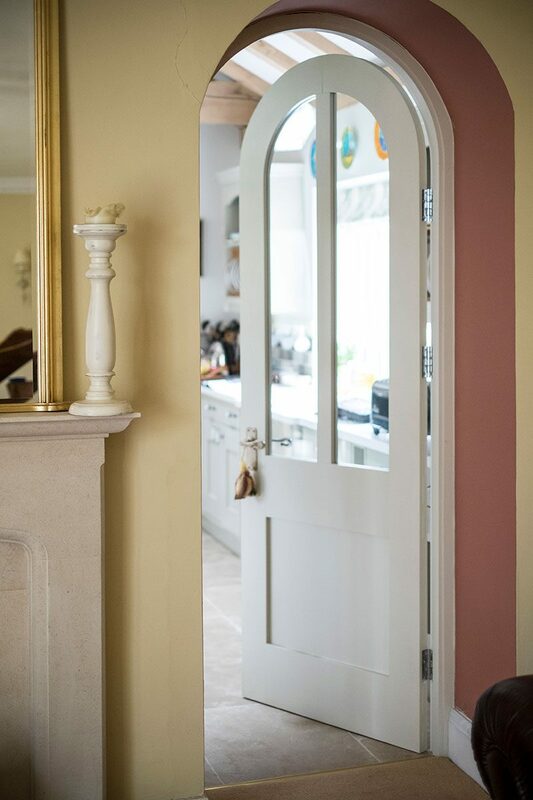 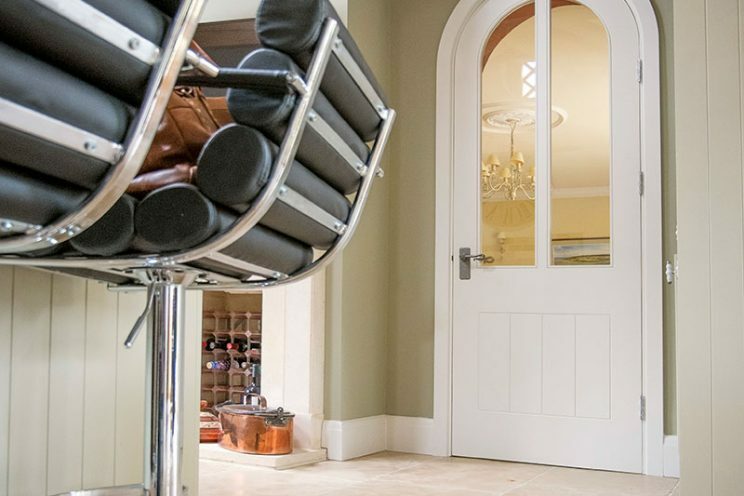 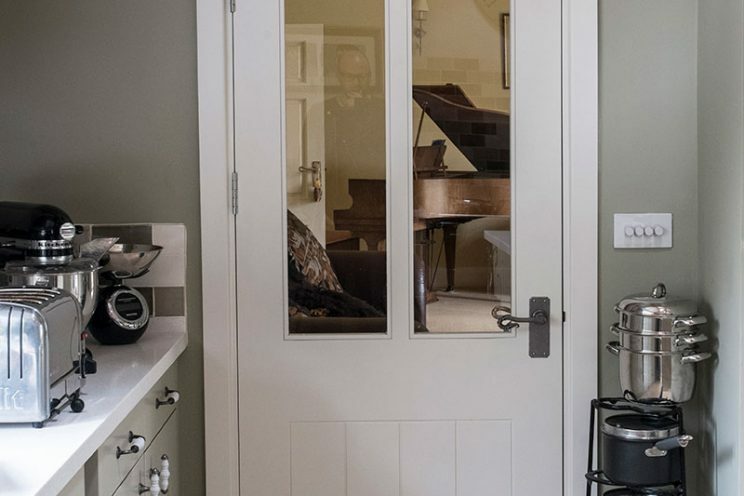 Having spent time advising on design, with different panels and colours on each side of the doors in order to complement the different styles in the kitchen and dining room, we (and more importantly our client) felt the doors worked really nicely. 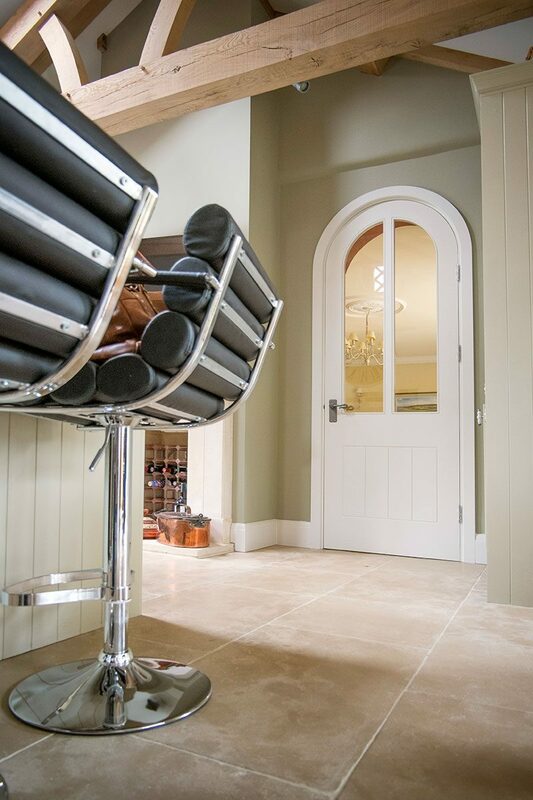 The use of glass allows of course for natural light and for some flow between rooms. 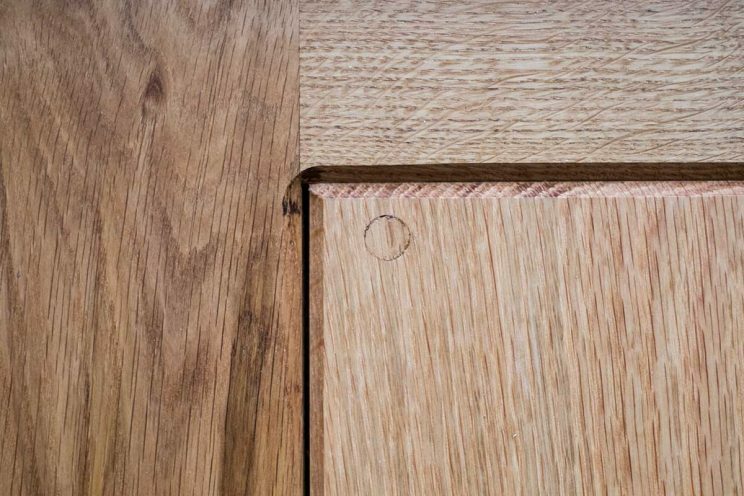 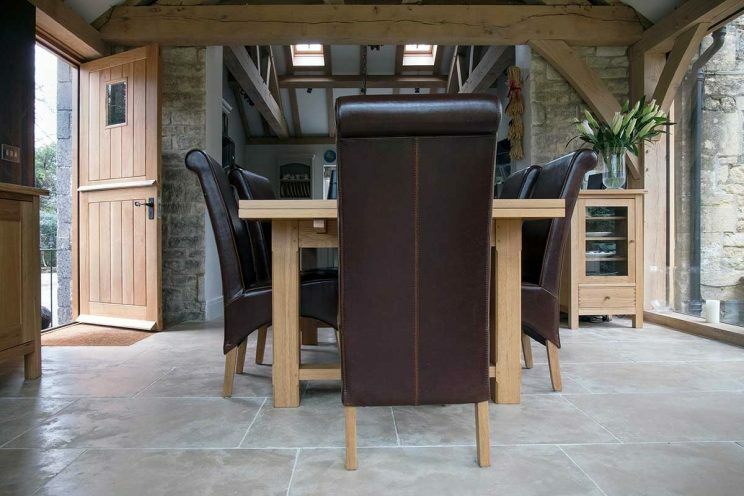 Discover more about our joinery service.